Join HMN San Jose for a fun vision board workshop. We will be creating individual vision boards to start our new year off right! A vision board, at its core, is a visual representation of all the things that you want to do, be, and have in your life. Our goal in this meeting is to create a daily visual reminder of your own deepest desires to carry us through the year. Please come with any supplies you may have: scissors, tape, glue, photos (for your use), or magazines to use for words and images of inspiration and open, focused mind to create your own board and support others in their process as well! HMN San Jose will also have supplies on hand, if needed. Join HMN San Jose in this fun DIY workshop where we will create luxurious lotions that are perfect to use and to gift for the holidays! All lotions are created with natural ingredients and everyone will get to take home a few small jars, so they can keep one and gift a few. Join us for board game night. Our meeting this month will be tons of fun with snacks, games and discussion! This will be a great time to chill out and connect with other holistic families. Bring your favorite game, or just come and play what we have. 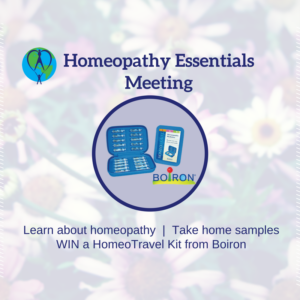 February Meeting: Homeopathy Essentials with Gifts from Boiron! Join HMN San Jose in learning more about homeopathy! Learn key remedies for common ailments and first aid that can be used for the whole family, such as coughs and colds, burns, tummy aches, ear infections, and more. Mary Jo Aloi, Certified Classical Homeopath, will cover the basics and philosophy of homeopathy, as well as how to dose and take remedies. Mary Jo Aloi, CCH has been interested in healthy living from a very young age and has been studying and practicing homeopathy for over 20 years. She works with people of all ages to help them improve their overall health and well-being. 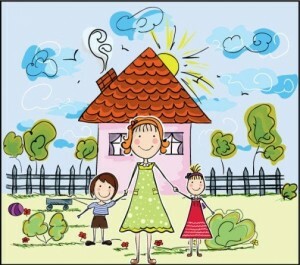 She loves homeopathy, parenting, time in nature, movement practices, learning and teaching. Join HMN San Jose as Dr. Brad West gives a special presentation about aging skin and how to prevent, identify and treat common problems such as skin tags, age spots, moles and keratosis, hemangiomas, telangiectasias, xanthelasma, sun damage and skin cancer. Learn how to properly and effectively protect your child’s skin (and so much more) as they age. We explain the difference and problems with conventional care and have handouts and a table to answer your questions. Dr. Brad West is a graduate of National University of Natural Medicine. His focus and training is in traditional and holistic medicine. With an internship as a Hygienic Physician, Dr. Brad uses detoxification and deep healing through fasting, IV infusion therapies, nutrition and food-as-medicine, exercise therapeutics, targeted supplementation, bio-identical hormones and advanced lab testing. His emphasis is on chronic disease treatment, prevention, nature-cure, endocrinology and gastroenterology as well as Chronic fatigue and fibromyalgia. Dr. Brad also is the first US trained physician using Dr. T’s method for non-invasive, highly effective skin lesion treatments. Living Green. Whole Foods. Organic. Non Toxic Living. Holistic Healing. Attachment Parenting. Nutrition. Creating Balance. 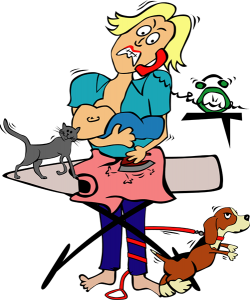 Breastfeeding. Allergies. Stress Reduction. Positive Discipline. Holistic Education. Health. Discover what Holistic Moms Network of San Jose is all about! Our open house is a special, annual event where we invite everyone to get to know our members and community. We will be having a potluck, a make and take, and win some great prizes, including a free one year membership and some other amazing prizes! 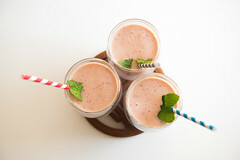 3 Common Mistakes Busy Moms Make That Keep Them Sick, Tired, & Stressed Out..and What They Can Do About It! Parenthood is one of the most beautiful rites of passage in our lives. It is one of the fastest ways that we grow personally, yet it can also age us quickly if we find ourselves out of balance with fatigue, anxiety, and stress. Join HMN San Jose and Tomasa Macapinlac, a pioneer in self-care and sharing effective tools. With 20yrs of experience in Asian Bodyworks Therapy and initiation as a Shaman, Tomasa helps add years to your life span, while taking years off your faces (all without potions, lotions, or knives!). Yes, it’s time to move beyond nutrition and exercise….to go deeper…and give yourself the care that increases your body’s life span and takes years off your age!